Mr Patrick Egan is one of Ireland’s leading tutors and performers of the concertina, and has represented Ireland on the world stage on numerous occasions. His academic interests centre on the benefits of exploring archives of cultural heritage, and in particular the transformational eras of the 1950s and 1960s. His experience extends through degrees in IT, Ethnomusicology and ten years working in the IT industry prior to completing an MPhil in Digital Humanities at Kings College London. Patrick is currently a final year PhD researcher in Digital Humanities and music at University College Cork. His research focuses on digital visualisation of music projects from the Sean O Riada Collection, and is co-funded by the Irish Research Council. 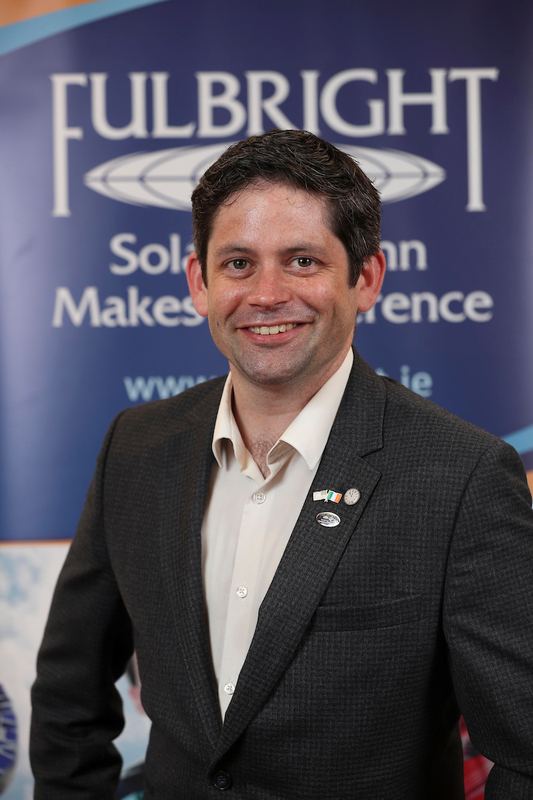 As a Fulbright TechImpact Scholar, he will research collections of traditional Irish music located at the Library of Congress, to reveal hidden field recordings through digital visualisation and linked open data.